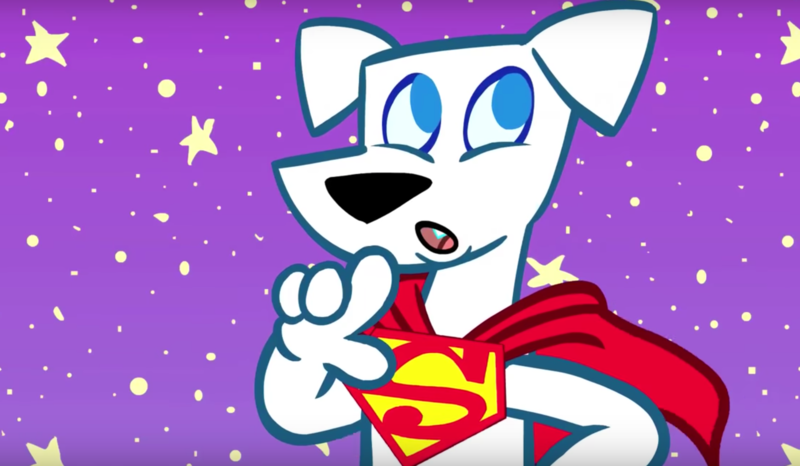 After writing The LEGO Batman Movie and The LEGO Ninjago Movie for Warner Bros., Jared Stern has been hired by the studio to write and direct Super Pets, an animated movie about DC characters’ pets, Collider has exclusively learned. It’s unclear whether Stern will use DC’s Legion of Super-Pets or the Cartoon Network series as the basis for the script, or whether he’ll create new characters better suited to his vision for the film. The Super-Pets team first appeared together in Adventure Comics #293 (February 1962), though most of the members had appeared in earlier issues. Over the years, those members included Krypto the Super-Dog, Streaky the Super-Cat, Beppo the Super-Monkey and Comet the Super-Horse from the Superman and Superboy comics; Damian Wayne’s dog Titus; Aquaman’s seahorse Storm; plus Flexi the Plastic Bird, Bat-Cow and Clay Critter, who was killed by Dex-Starr and Harley Quinn’s hyenas Bud and Lou. Krypto the Superdog also had his own comic series, which featured appearances from Beppo and Comet. At one point, Marvel even had its own animal-centric comic book, Lockjaw and the Pet Avengers. Stern got his start contributing material to animated movies like Bolt, The Princess and the Frog, and Wreck-It Ralph, before writing the live-action comedies The Internship, The Watch and Mr. Popper’s Penguins. He recently directed the Netflix comedy Happy Anniversary starring Noël Wells and Ben Schwartz, and he also executive produced a pair of animated films for Warner Bros. — Storks and the upcoming Smallfoot. Stern is also writing and executive producing an adaptation of Dr. Seuss‘ classic children’s book Green Eggs and Ham for Netflix and WBTV, as well as a feature adaptation of Seuss’ The Cat In the Hat for Warner Bros. Animation. Additionally, Stern wrote the animated musical Meet the Beetles for Warners, the animated movie It’s a Small World for Disney, and the highly-regarded screenplay Home Movies for Amblin and Shawn Levy‘s 21 Laps banner, which numerous A-list stars have flirted with over the years. On the small screen, Stern co-created Ken Jeong‘s short-lived ABC sitcom Dr. Ken. He’s represented by WME, Industry Entertainment, Odenkirk Provissiero Entertainment and attorney Karl R. Austen. • Jared Stern • Super Pets • Warner Bros.